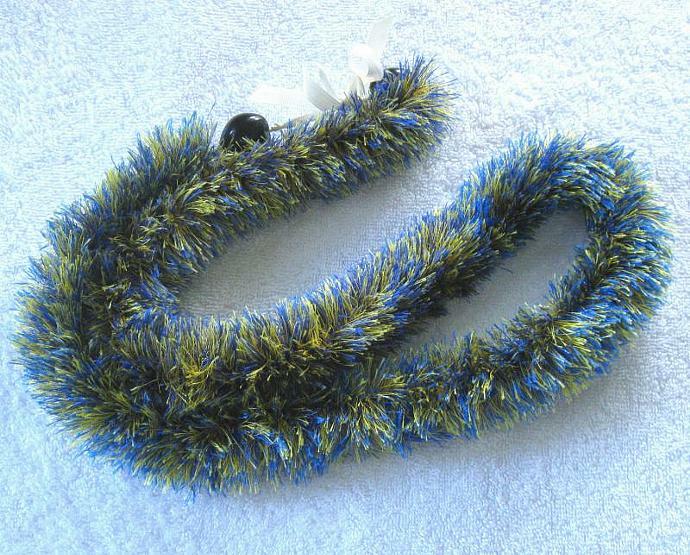 Unlike fresh flower leis this Hawaiian eyelash lei will live forever. I made this blue and yellow (gold) lei from eyelash (fuzzy) yarn over ivory color grosgrain ribbon and finished it with black kukui nuts. This lei is ready to ship, shipping by priority mail.